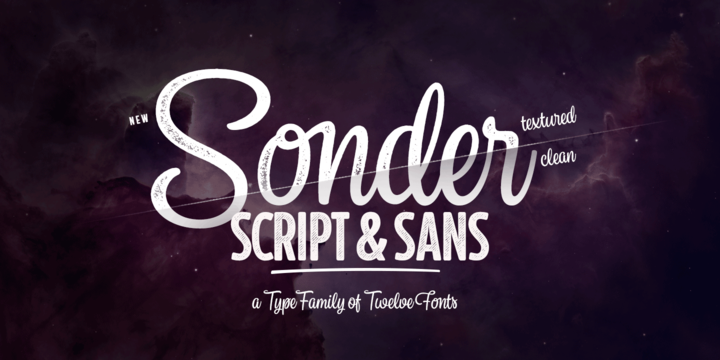 Sonder is a contemporary typeface created by Emil Karl Bertell and published by Fenotype which is available in 14 styles, two widths (Script & Sans) each with three weights. You can mix them and have beautiful things. Also it has print and extras versions. With some useful OpenType features, is ideal for wedding, headline, logo, poster etc. Enjoy! A font description published on Thursday, January 18th, 2018 in Emil Karl Bertell, Fenotype, Fonts by Alexandra that has 1,303 views.